We have talked about the ability to effectively communicate by listening and hearing and visualizing conversations before they take place. If you are not listening to what is being said or not being said then you will not bring value to the mentoring relationship. 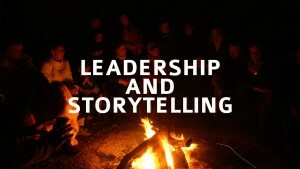 Another technique that we can use as mentors whether we are internal or external to an organization is the art of storytelling. Storytelling has been around for decades. It is typically mentioned when we speak of elders in the Aboriginal community. They are indeed the gifted ones when it comes to storytelling. Sometimes the message is evident and sometimes it is woven into the story and the follower must figure out what that message is. Storytelling can assist in the development of critical thinking skills. Occasionally as mentors we find ourselves with little to say or the person we are spending time with is not forthcoming with conversation. The awkward silence sets in and we question what value we are bringing. This is when I launch into storytelling. The story that I share may simply be about my work but sometimes with hidden messages in the story. The story may be about something personal as I may recall an issue or two that we had been dealing with and this may be relevant to fire start the conversation. The art of storytelling however is to know when to engage in doing so and when to listen. It is also about knowing the questions to ask in order to have your mentee begin to share their story. I was spending time with someone the other day albeit electronically and I had to utilize storytelling in order to guide them in the right direction. They had become emotionally disconnected from what I would call reality and I needed to bring them back. They were dealing with a number of issues all of which pointed us back to self-esteem, self-confidence and negativity. I used a form of storytelling to get them to see what was taking place without it being obscured by negativity and to then map out a path that we can take to a better place. By using the storytelling method I shared rather than telling them what they had to do to get out of this dark place. I remember speaking at a conference one time and sharing a couple of stories with the audience. My stories were sincere and from the heart as they were about things that I had experienced – they were things from the past. As I scanned the audience I could see lots of heads nodding in agreement but more importantly were the small handful that I had touched emotionally through the story. They were wiping their eyes but did not look away when I glanced in their direction. We chatted after the session and they had experienced something similar but never had the strength to talk about it. Hearing me speak from the heart convinced them that they needed to share their story with others. Allowing the story to be told has such a powerful feeling – a feeling of release as though a weight has been lifted off your shoulders. 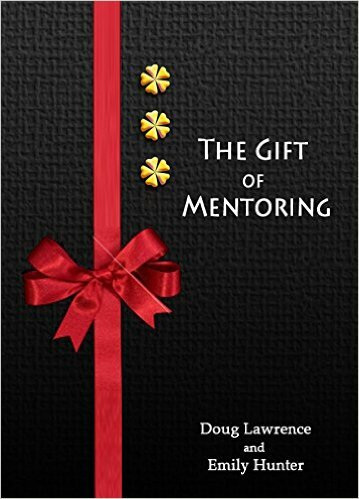 When you combine the gift of mentoring with the power of storytelling you can provide that emotional release. You can strengthen the mentoring relationship that you are building through the sharing process. You can help develop critical thinking skills by leveraging mentoring and storytelling. Storytelling is a skill of a great leader and a great mentor. It is another great tool to have in your leadership and mentoring toolbox!